An arbitrator has ordered Western Digital to pay Seagate a hefty $525 million in damages this week. The feuding drive manufacturers sought private arbitration in Minnesota after Seagate accused Western Digital of coaxing "confidential information and trade secrets" from a former Seagate employee. Unfortunately for inquiring minds, further details are unavailable, but Western Digital has denied those allegations and it plans to contest the ruling. "We do not believe there is any basis in law or fact for the damage award of the arbitrator," said chief executive John Coyne. "We believe the company acted properly at all times and we will vigorously challenge the award." Coyne went on to mention that the $525 million penalty won't affect Western Digital's operations, nor will it prevent the company's planned acquisition of Hitachi GST, a $4.3 billion deal that's expected to close in the near future. This news comes at an inopportune time for Western Digital, which is experiencing significant production setbacks after the flooding in Thailand. Whereas Seagate is only being affected by resulting supply constraints, Western Digital actually has factories in the flood zones. Overall, the industry is expected to ship 50 million drives less than its target of 180 million. Nonetheless, Western Digital says the arbitration won't affect its recovery process. Competition between the rivals could get interesting in the coming years as the hard drive segment becomes more consolidated and less relevant. 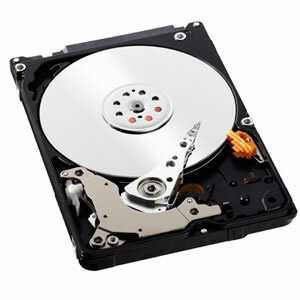 Along with Western Digital's purchase of Hitachi GST, Seagate recently agreed to buy Samsung's hard drive division. Meanwhile, flash storage is growing more affordable in desktop and notebook form factors, while consumers are increasingly reliant on smartphones and tablets for basic computing tasks.